Description : Main features:works on almost all phone models with midp 2.0 and cldc 1.1 support, using a single jar file easy to use, fast and straightforward user interface (gui), powered by medieval gui system complete touch screen support with built in double click event implemented shortcut keys improves user usability and speed up your gui experience unique fullscreen mode (press  key), to remove top bottom bars and enlarge working area cool and intuitive menu system (press  or [menu] key) to execute extended functionality multiple files and folders selection (press [ ] or[ ] key), to transfer delete many items at once select all, select none and invert selection options available search files rapidly and accurately, on both local and bluetooth filesystems, using customisable parameters navigate on both local and bluetooth filesystem using a single keypress (press  or [fire] key) download upload items from to any device with obex ftp support (almost on all phone models) you can also send files using obex opp profile (available on all phone models with bluetooth) ability to cut copy and paste files between devices and or to manage local filesystem edit file or folder attributes to enable or disable read, write and hidden status flags open view the content of some files using the internal viewer (both local and bluetooth filesystems) powerful internal image viewer with zoom in & zoom out features using a fast and smooth scale filter you can open text, image, audio and video files with the internal viewer get files and folders informations on both local and bluetooth devices create new folders on both local and bluetooth filesystem rename items or get volume informations (local filesystem only) you can add or remove a memory storage, without closing the program search for any nearby bluetooth device and read its informations bookmark list allows you to save your favorite device without searching it again very long file and folder names are scrolled on the screen using marquee technique integrated help system that shows the a b c of this product built in error system with detailed explanation message signed with both verisign and thawte certificates multi language user interface. 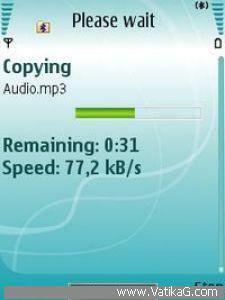 Description : Application to browsing and copy files from other phones connected via bluetooth.languages: english czech slovak russian germa polish spanish portuguese serbian ukrainian arabic french italian lithuanianminimal requirements: cldc 1.0 midp 1.0 jsr 82 jsr 75if, when copying files from another device to your device the application write "could not write data to the target file." or when you try to open your files write "cannot open the folder" it is necessary to allow the application reading and writing files. 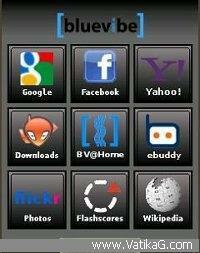 Description : Use bluevibe mobile near a bluevibe hotspot and gain free access to the most popular mobile web sites like facebook, e buddy, gmail, yahoo and more bluevibe mobile uses your phone s bluetooth to communicate with the bluevibe hotspot and connect to the internet. when you are not near a bluevibe hotspot you can still use bluevibe mobile to connect to to the internet using wifi or gprs 3g. Description : 1. before you even start using this software, use the video formats feature in the main menu to check if the two devices to be used share any video formats in common. for example, if phone x has mpeg listed as a video format then phone y must also have mpeg listed in order for this application to work. if this is not the case then try another device.2. both devices must have bluetooth switched on and set to discoverable.3. first, select one of the devices as a surveillance camera. waiting for monitor to connect . should appear on the screen.4. select the other device as a monitor. the device will proceed to search for bluetooth devices in the vicinity. select the device which will be used as the surveillance camera from the list. connected to monitor should appear on the screen of the device which is to be used as a surveillance camera and connected to cam should appear on the other device.5. when the above steps are completed, you can proceed to record videos and send them instantly to the monitor device. below are explanations for each function found in the monitor menu: start recording: commands the surveillance camera to start recording (note: the actual video length recorded depends on available memory of the device in question). stop & play: commands the surveillance camera to stop recording. the recorded video is then played on the monitor. replay: replays the video clip that has been recorded. hide remote cam: commands the surveillance camera to hide the application from view. show remote cam: commands the surveillance camera to display the application on screen. close remote cam: commands the surveillance camera to close the application and disconnect the session just in case someone spots the device and decides to investigate ) set volume: sets the playback volume. save video: saves the recorded video on the device for later use. menu: disconnects the current session and returns to the main menu. exit: exits the spycammobile application.6. note: this application is not digitally signed therefore permission from the user is required to access the camera. it is therefore required that you record once and allow the application to utilize the device camera before placing the surveillance camera in its desired location. see below on how to set up the application permissions. the disconnect feature in the monitor menu disconnects the session.7. in order for you to be able to save your videos, allow for uninterrupted recording and bluetooth connection, the following application access permissions needs to be set:1. connectivity: always allowed2. multimedia: ask first time3. read user data: ask every time4. 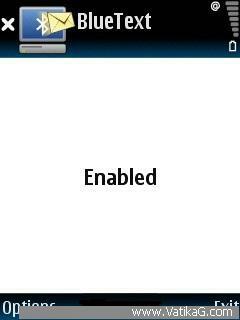 edit user data: ask every timesetting permissions:1. samsung: select applications from the menu.2. 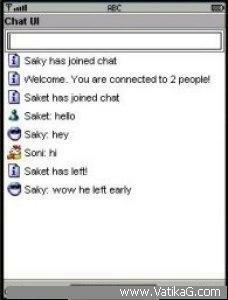 select java world.3. select spycammobile.4. select options.5. select permissions.6. 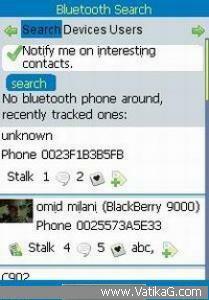 set the permissions.1. nokia series 40: find spycammobile on your device and select it.2. select options.3. 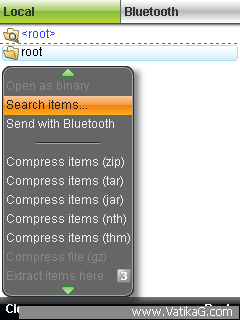 select application access4. set the permissions1. nokia series 60: select tools from the menu.2. select manager.3. select spycammobile from the list of applications.4. select suite setting.5. set the permissions.1. sony ericsson: find spycammobile on your device and select it.2. select more.3. set the permissions.note: this application records approximately 30 seconds of video footage due to the limited amount of memory that mobile devices have. 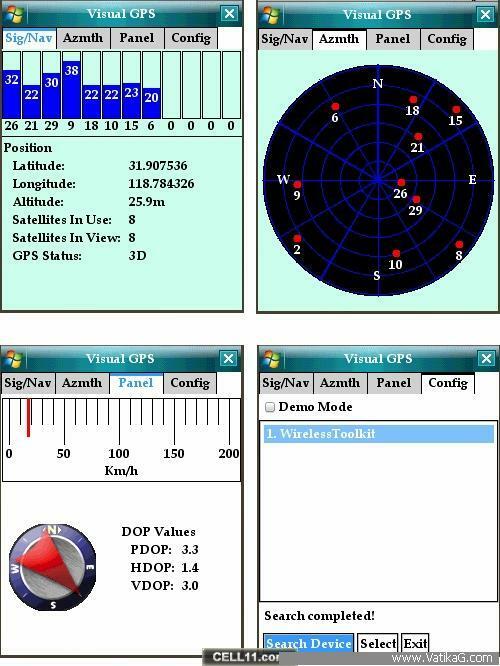 Description : Bluetooth gps compass is a free j2me application that displays gps data graphically . features include satellite azimuth elevation, gps signal quality, analog gauges. 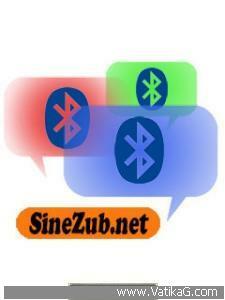 Description : Simple bluetooth chat for mobile phones.in theory, restrictions on the number of users there. for messaging applications create several ad hoc network using a data transmission channel bluetooth. check in practice:)featuresapplication built on principle of dolls embedded into itself, and can transmit itself via bluetooth using obex file transfer. 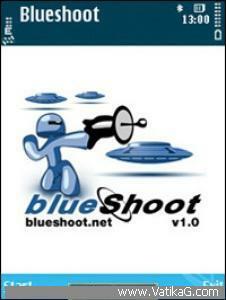 Description : Web 2.0 bluetooth app with comments, tagging & likesstalk devices and get notification when you re near them. or connect to facebook and see what you ve common with people around.